This is a remarkably good first novel featuring a tough female detective inspector, Nikki Galena, and based in Greenborough, a town in the Fens. As the book opens, Nikki is lying in wait for a drug dealer in a dangerous part of town, late at night. But this is the sort of danger that she thrives on, and the mainstay of her existence. Perhaps not surprisingly, this has alienated many colleagues. She is down to a team of two, PC Dave Harris and DC Cat Cullen, and her superintendent warns her that the top brass are thinking of disciplinary action because of her unorthodox methods. Then just as a girl, Kelly, from the local university goes missing, she also gets a new Detective Sergeant, as a transfer, who has the nickname 'Reverend' Joseph Easter. This doesn't please Nikki at all, but Joseph turns out to be both attractive and amenable to Nikki's unconventional approach to policing and they develop a good working relationship. Nikki is completely focussed on destroying the drugs rings operating in Greenborough, and in particular in finding one of the ring leaders, Frankie. Somewhere in her private life, she has come into contact with Frankie, and seen the consequences of Frankie's drug dealing first hand. Whatever it was that she saw led to the breakdown of her marriage and her daughter's rebellion, and somehow her daughter has ended up severely disabled, in hospital in a persistent vegetative state. No wonder then that Nikki has such a strong commitment to ridding the town of drugs. Kelly's disappearance is swiftly followed by the disappearance of another young girl, Lisa Jane, who happens to be the niece of one of the main crime bosses, Archie, on the local estate, known as the 'Godfather of the Carborough'. Archie has some sort of past connection to Nikki, and privately comes to ask for her help in finding his niece, Lisa. 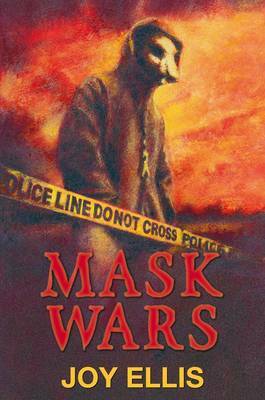 Meanwhile, there is an escalation of violence on the estate, and the main protagonists have taken to wearing strange animal like masks. Why have they started wearing these masks, and where do they come from? Is there any connection between the disappearance of the two young women, and the masks? And, is Frankie somehow involved in what's going on? Overall, the story is engaging, the plot unfolds at a rapid pace, and while the plot is fairly predictable, the approaches and characters of the four main investigators hold one's interest. I particularly liked the main character of the book, Nikki, who truly is a strong, independent woman, with none of the somewhat irritating 'feminine sides' that other female detectives in other books can sometimes have. For example, although she likes Joseph, and they work well together, refreshingly for a change, there is no budding romance, they simply work well on a professional level. This development of their working relationship, her increasing trust in Joseph, and her feeling that she is no longer alone in wanting to tackle crime in her own way leads to a gradual softening in Nikki's character throughout the book, which is convincingly told. My one major criticism is the cover image on the book jacket, which is particularly unappealing, and wouldn't make me want to buy the book, if I was just browsing in a bookstore! Overall, the book was a pleasant surprise, an engaging read, and one of the best first novels I've read for a while. I suspect that Joy Ellis's future books will be something to look forward to, and hope that she will become more widely read.